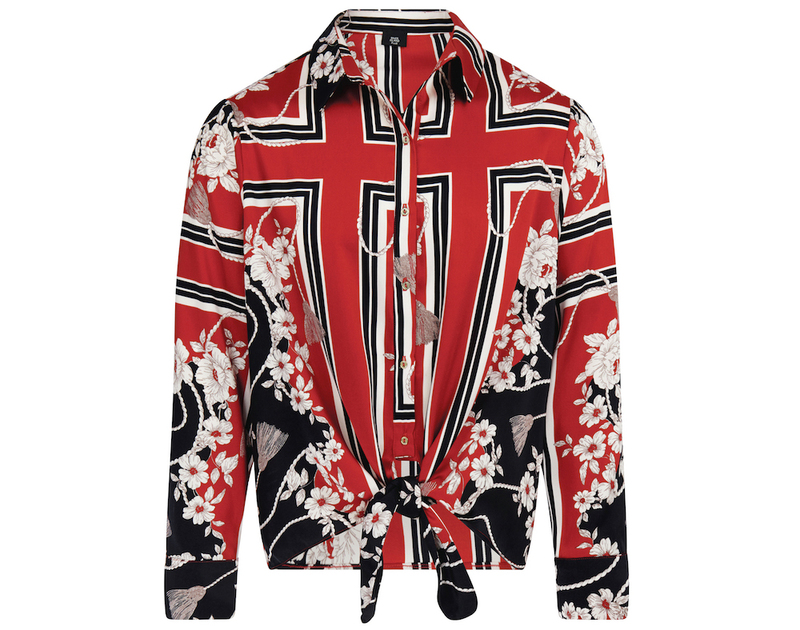 When the Nineties fashion resurgence started a few years ago, could anyone have predicted it would have such longevity? 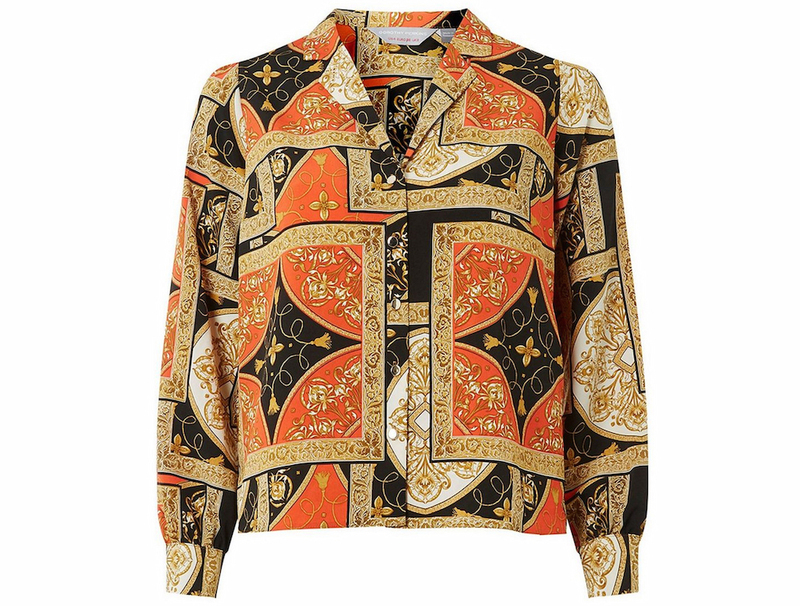 What started with Calvin Klein style slip dresses, cute crop tops and sleek sportswear has evolved, and now bold baroque prints are splashed all over the high street. A far cry from the minimalist mood that reigned on the New York catwalks during the decade, these colourful designs are rooted in a pair of storied European fashion houses. 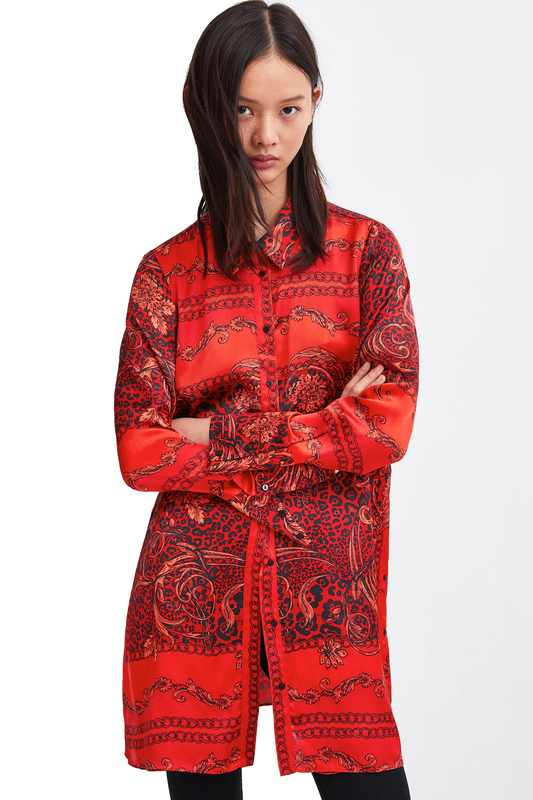 First, there’s French label Hermès, famous for its exquisite silk scarves hand printed with colourful equestrian motifs, which have been worn by everyone from Audrey Hepburn, Grace Kelly and the Queen. 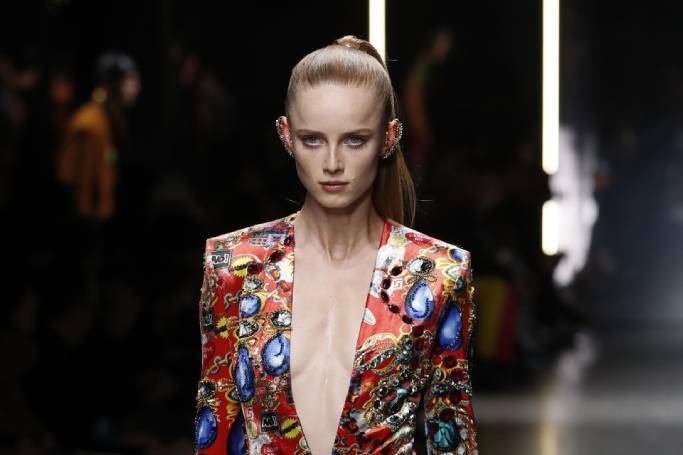 Then there’s Versace, and the prints pioneered by the late Gianni Versace in the late Eighties and early Nineties, when he took traditional Italian artistic designs and replaced angels and cherubs with chains and Medusa heads. 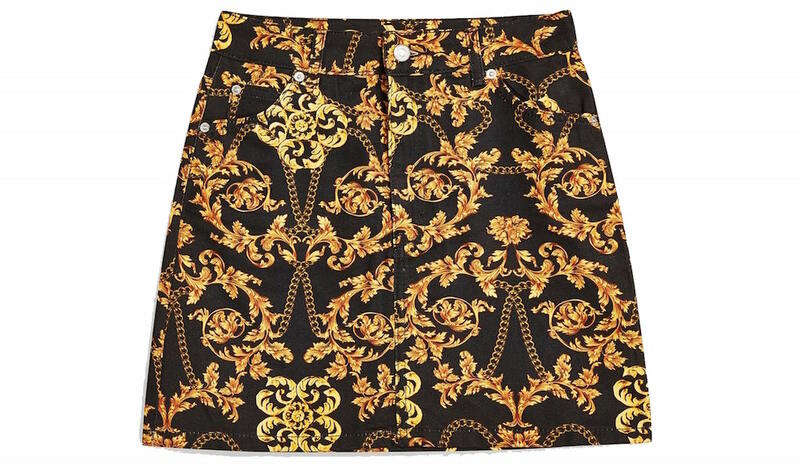 In recent years, Donatella Versace has brought these baroque prints back to the catwalk, and now they’ve trickled down to high street collections too. 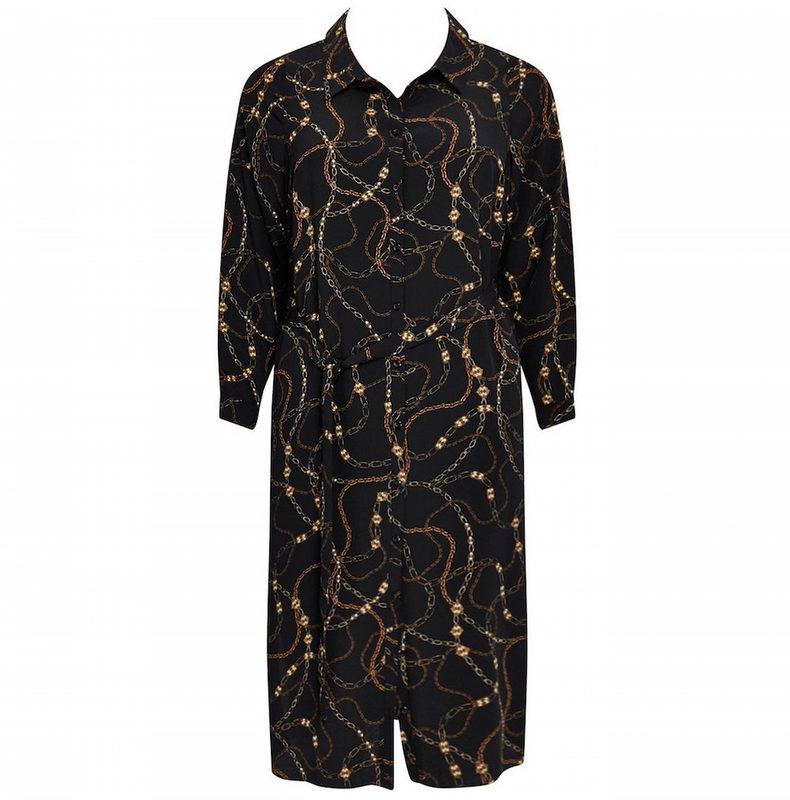 So how do you wear these silky vintage inspired pieces? The easiest option is a floaty shirt or blouse paired with black skinny jeans – when your top is this busy you should keep it sleek and simple on your lower half. 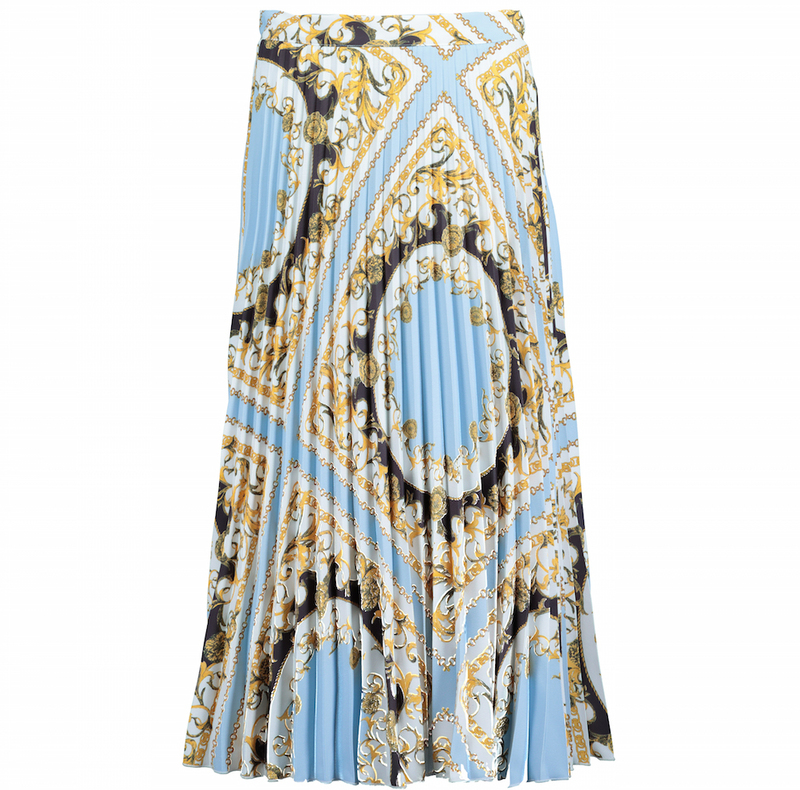 Likewise, a scarf print skirt – whether tight and mini or loose and midi length – looks best teamed with a snug block colour roll-neck. 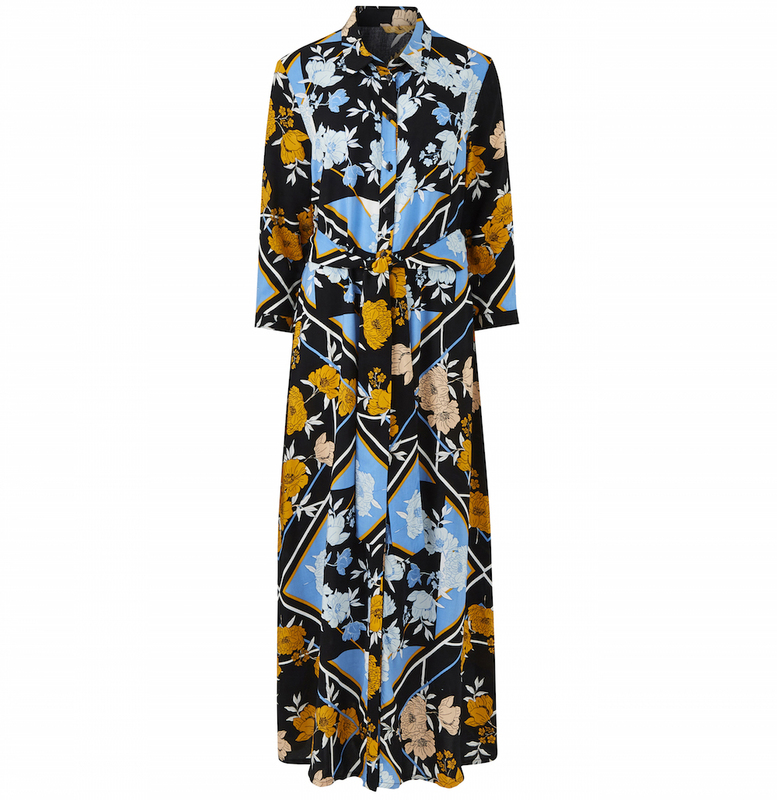 If you want to go the whole hog in all over print, there are some gorgeous midi shirt dresses in the shops – just add knee high boots and your Nineties homage is complete.